I hope you will always remember the great memories we created, because I will. Moving on from someone you love isn't about forgetting them. It's about having the strength to say I still love you, but you're not worth this pain. I know your life can go on without me, that you can be happy without me, that you can survive without me. But even if you turn me away, I will still choose to stay with you and be your sweetest stranger forever. If ever things would change and your love would fade, I'd still not break the promise I made. If you let go I'll accept and there's nothing I can do, but I'll be there and still love you. I will never regret you, or say I wish I'd never met you, because once upon a time, you were exactly what I needed. Naah! It's always the person behind the quote ;) lol!! I went to sleep last night thinking about you, I woke up this morning still thinking about you. When I'm down, I whisper your name to myself and smile. I still love you, don't doubt it. Loving you isn't the hardest part. Knowing I once had you breaks my heart. Unknown quotes | added by: Ashiee_Actually. If a girl is stupid enough to love you after you broke her heart, I guarantee you, she is the one. When you love someone, even though they hurt you and break your heart, you still love them with all the little pieces. Letting you go was easy. Its missing you that hurts. Trying to forget you is heartbreaking. I guess I thought you would chase me. 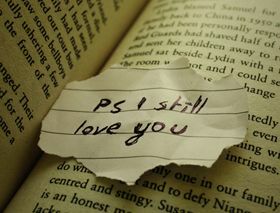 I still love you..